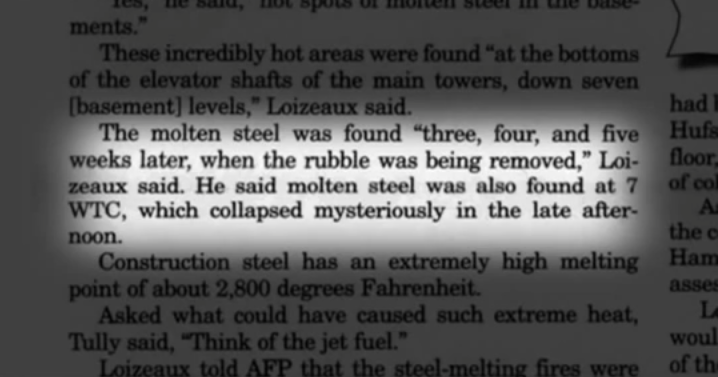 One interesting fact is that a Government investigator claimed there was no molten steel at WTC when there is so much eyewitness and video evidence of this that such a statement should have been the center of corporate media speculation. 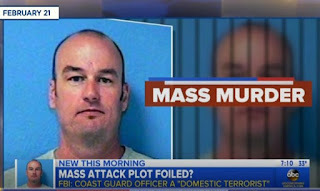 Maybe if he had used a wrong email address he might have gotten some media attention. 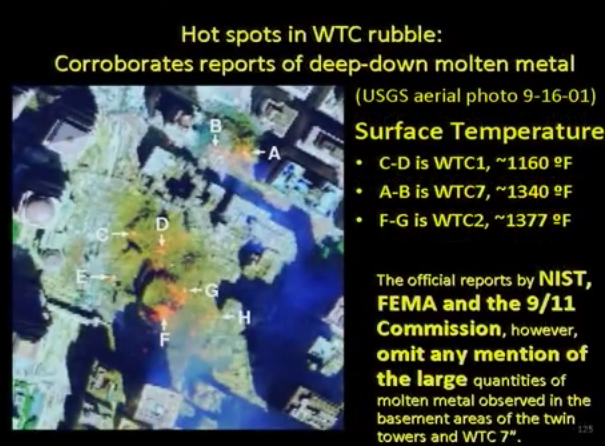 Dr. Steven Jones does a chemical analysis of what little remaining steel there is from the World Trade Center. 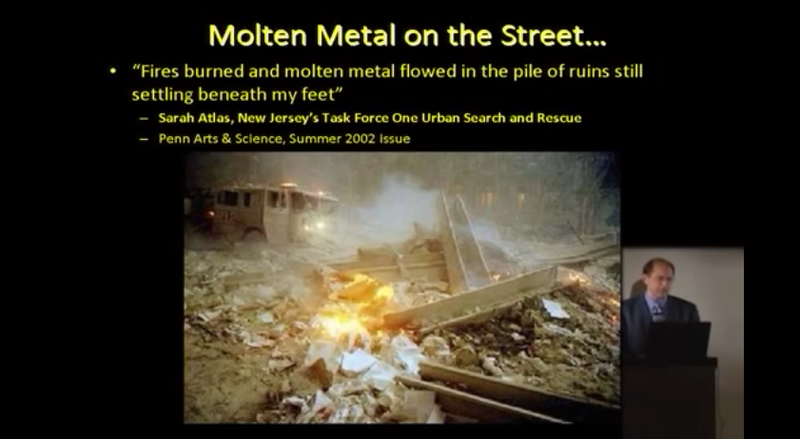 Only a small amount of the WTC steel escaped the Bush Administration's aggressive and quick recycling program. 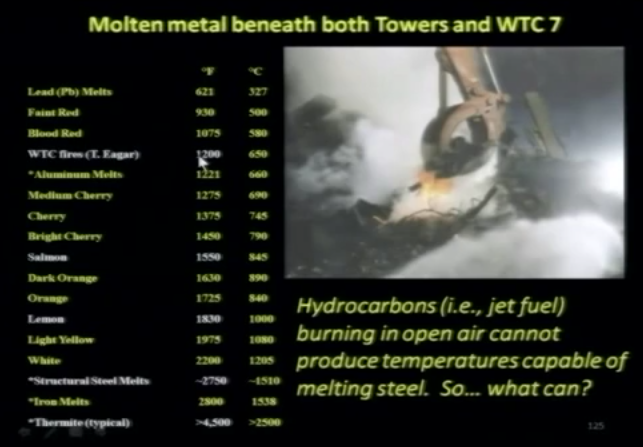 The results point to the use thermate/thermite cutter charges. 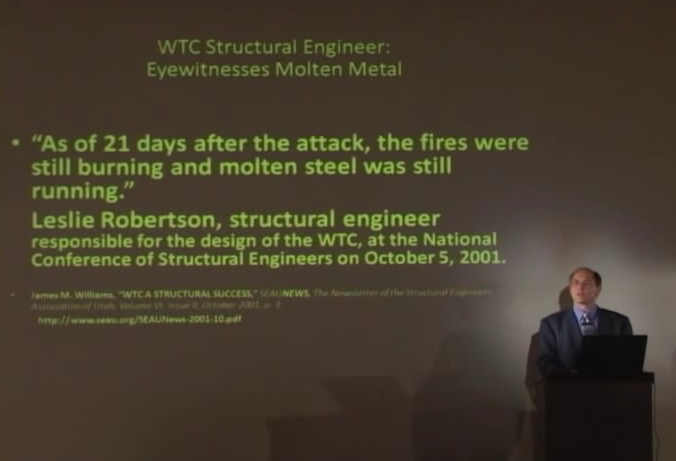 If the World Trade Center was brought down with explosives, who placed them there? 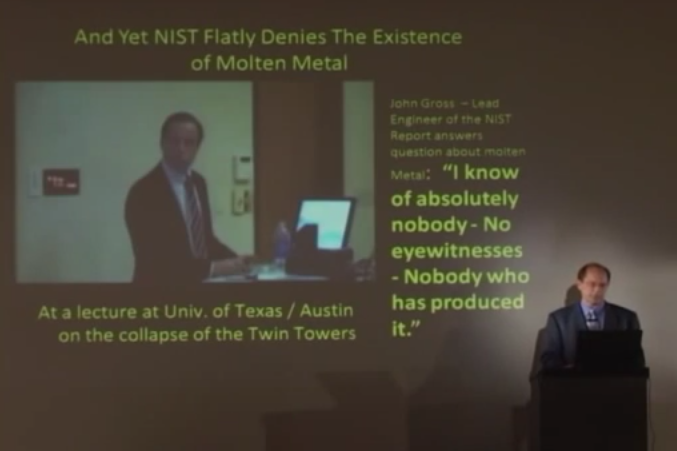 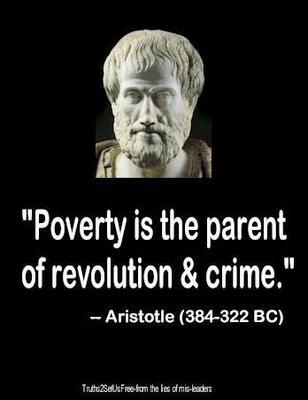 We need a new investigation into the events of September 11 RIGHT AWAY!